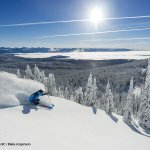 Ski British Columbia Ski & Board Holidays And Travel | travel&co. 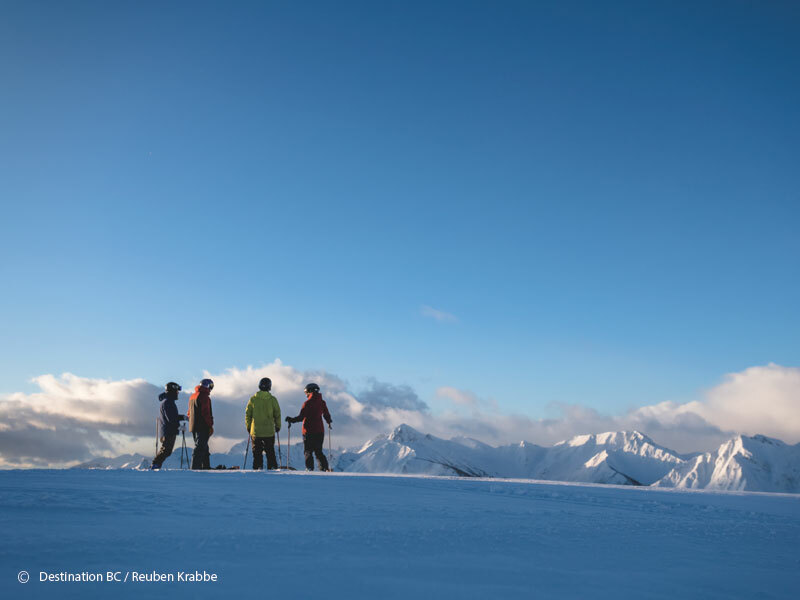 British Columbia’s mountains beckon with unparalleled vertical, spectacular scenery and massive terrain. 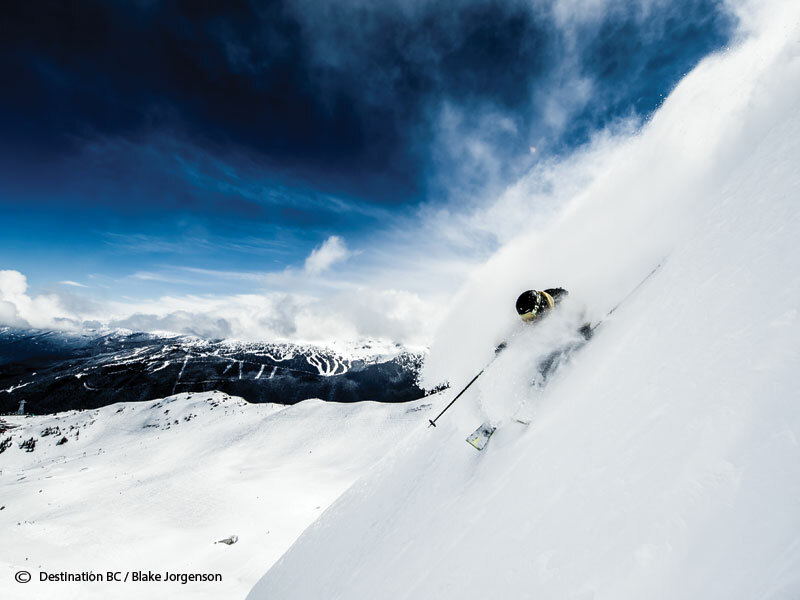 From the world-famous slopes of Whistler Blackcomb to the champagne powder of the Interior and the steep chutes and long runs of the Powder Highway, the variety of BC’s alpine landscape is staggering. 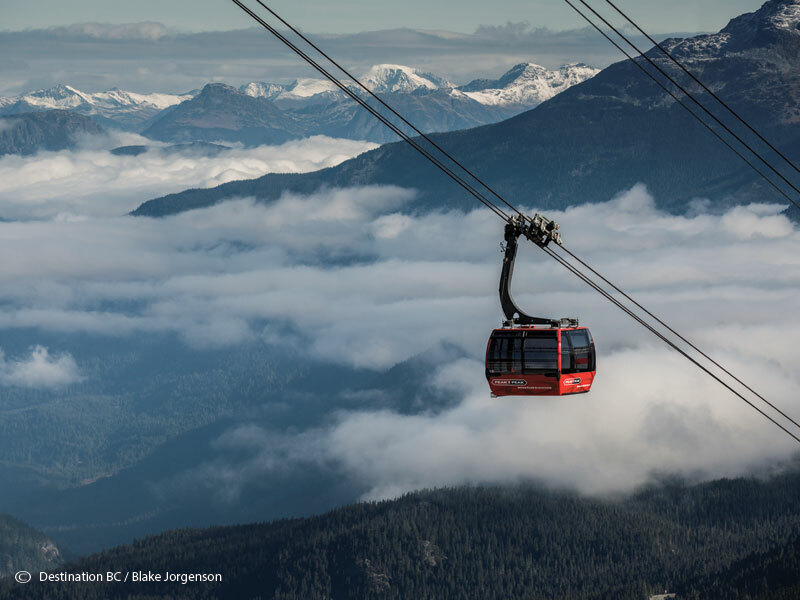 British Columbia is home to 10 mountain ranges, 13 major ski resorts and is punctuated by small mountain towns and heli and cat-skiing experiences beyond imagination. 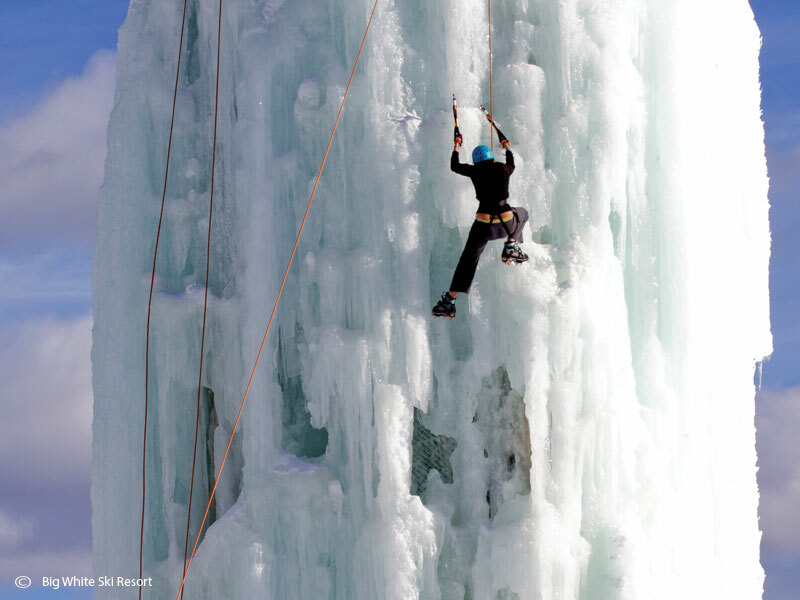 It’s a place that is one step wilder. 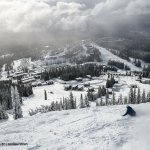 When it comes to a ski holiday, British Columbia’s mountains offer amazing scenery, unparalleled vertical and massive terrain. 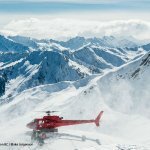 You will be spoilt for choice with 10 mountain ranges, 13 major ski resorts, and heli- and cat-skiing experiences beyond imagination. 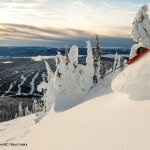 BC, is the third largest province in Canada, and here you will find a land of powder-filled bowls, glades, and long, uncrowded runs; of glacier-topped summits and spectacular views. 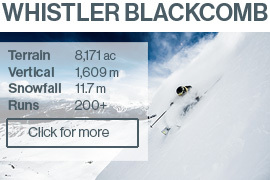 From the world-famous slopes of Whistler Blackcomb—consistently rated North America’s No. 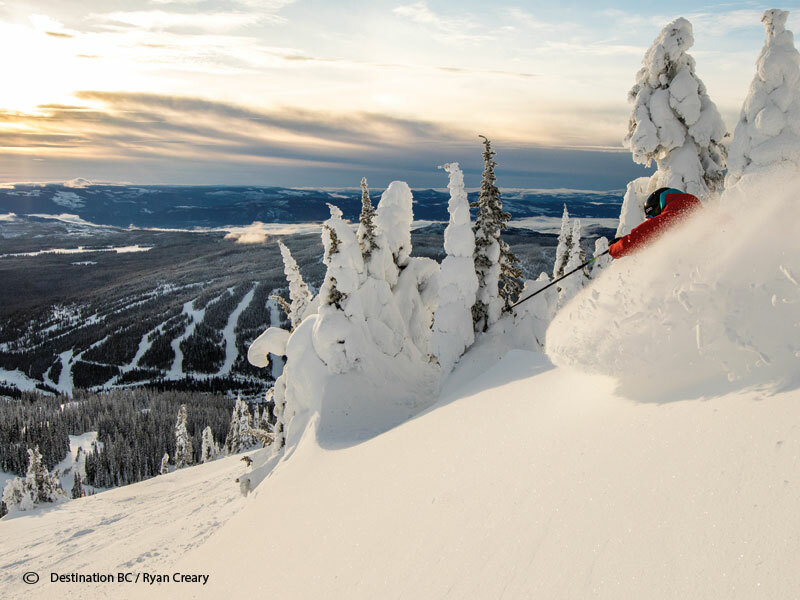 1 ski resort—to the champagne powder of the Interior and the massive terrain along the Powder Highway, the depth and breadth of BC’s winter landscape is amazing. 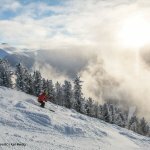 Plus, there is a lot more than fresh tracks and exhilarating downhill with untouched wide open expanses that beckon cat and heli-skiers to hit awe-inspiring heights, forest and valley trails for cross-country skiers and uniquely Canadian ways to experience winter off the slopes. 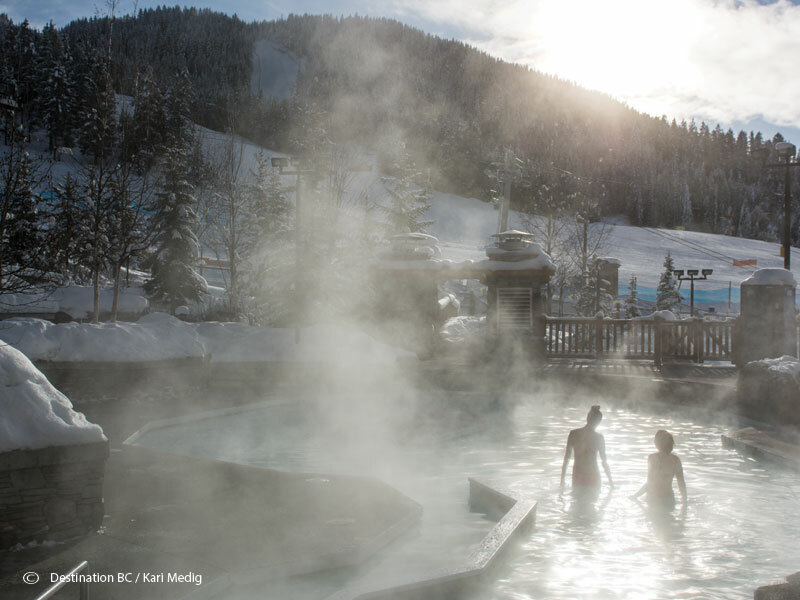 Experience genuine Canadian hospitality with friendly mountain towns, natural hot springs, and sumptuous resorts that boast luxurious spas and five-star, farm-to-table dining. 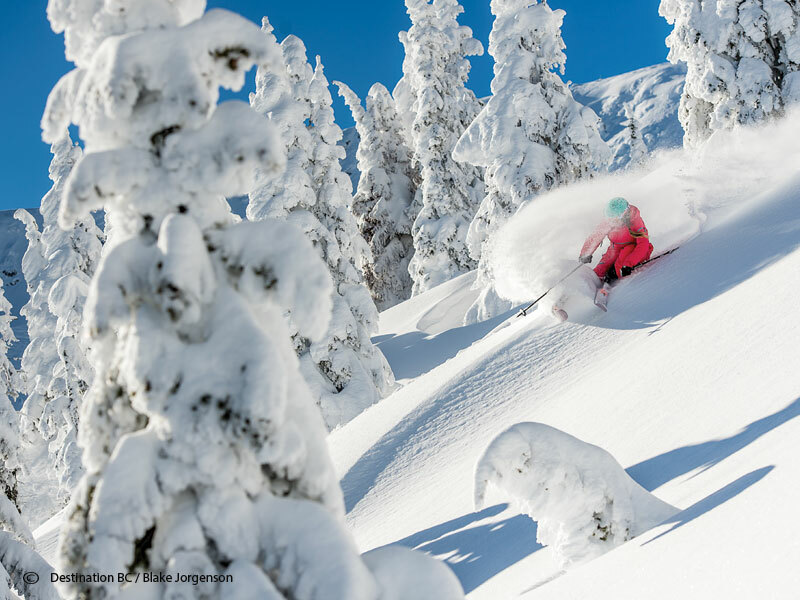 No matter where you choose to spend your next ski holiday, with 13 Ski Major Ski Resorts, British Columbia is a ski destination that offers something for everyone! 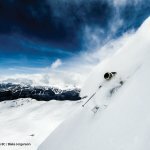 The Birthplace of Heli-skiing: Heli-skiing was pioneered in BC and here you will find some of the world’s best powder and amazing heli and cat-skiing terrain. 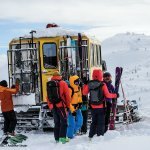 1 day or week long adventures, heli give it a go where it all began! 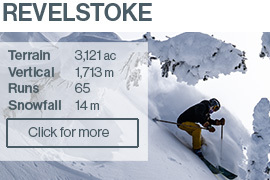 North America’s longest vertical: At 1,713 metres, burn your thighs at Revelstoke on the longest lift serviced vertical. 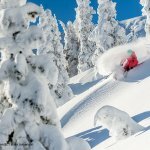 The Powder Highway: Follow the powder on the ultimate road trip to ski and board 8 of BCs top resorts located in the Kootenay, Rocky, Purcell and Monashee Mountains. 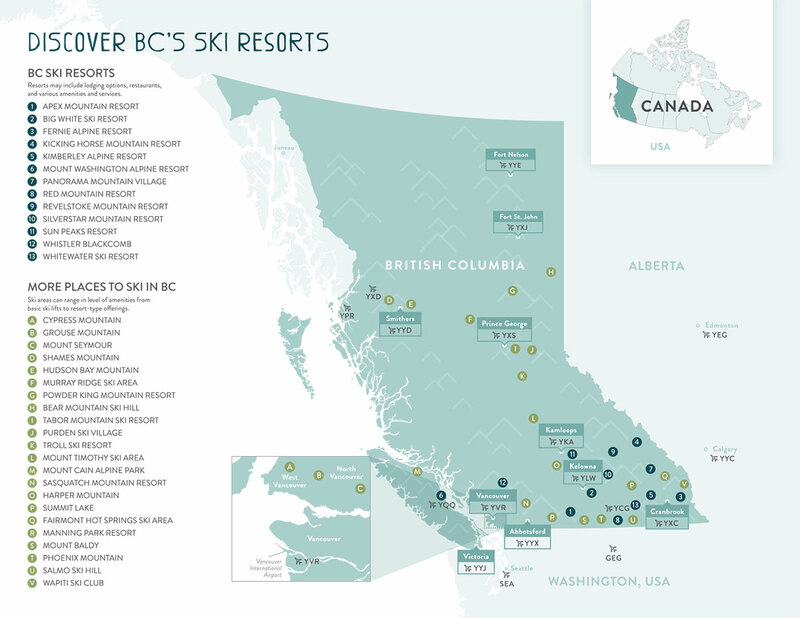 Ski resorts can be found in different regions of BC, all of which offer incredible ski and board experiences. 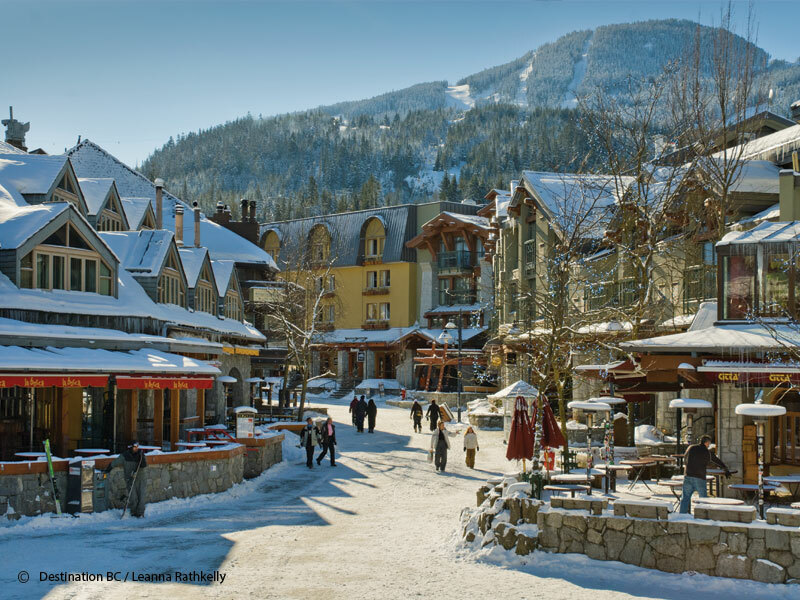 Including Vancouver and Victoria, this area of BC enjoys the mildest climate with huge winter snowfalls in the mountains. 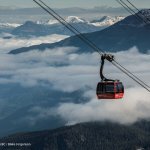 This is where you will find the largest ski resort in North America only 2 hours north of Vancouver– Whistler. 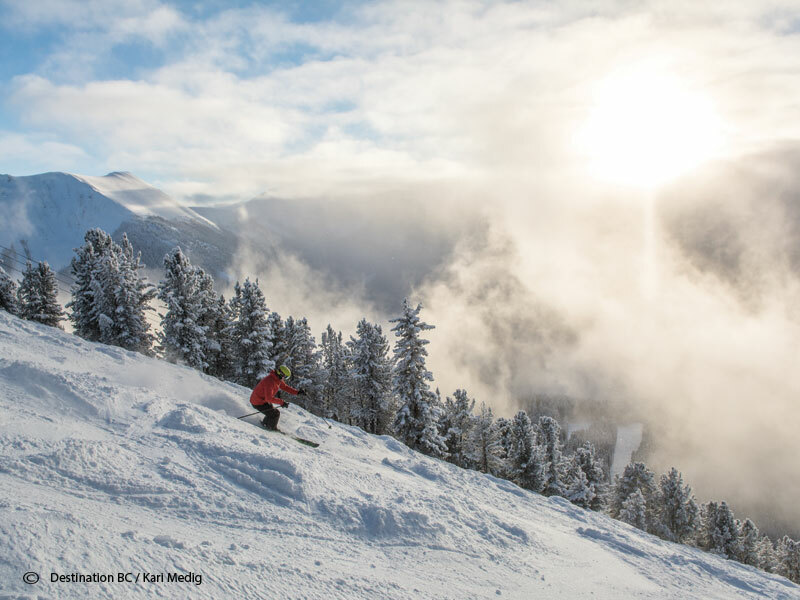 Two mountains, connected by the record-breaking PEAK 2 PEAK Gondola and considered one of North America’s premier mountain resorts with more than 8,000 acres of terrain and 200 ski runs to explore. 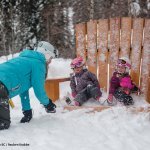 Famous for loads of sunshine and bluebird powder days, here you will find some of BC’s top family friendly ski in ski out resorts including Sun Peaks, Canada’s 2nd largest ski resort, Big White famous for its snow ghosts and massive levels of Okanagan Champagne powder snow and the colourful Silverstar resort. 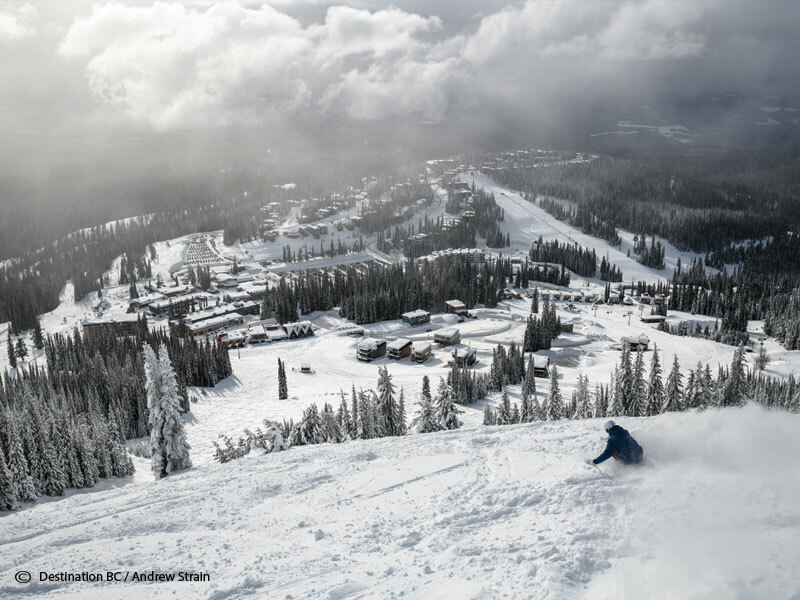 The Powder Highway covers 8 authentic ski resorts spread across impressive mountain ranges including the Monashee, Selkirk, Purcell and Kootenay Rockies and home to impressive powder and backcountry heli and cat skiing terrain. 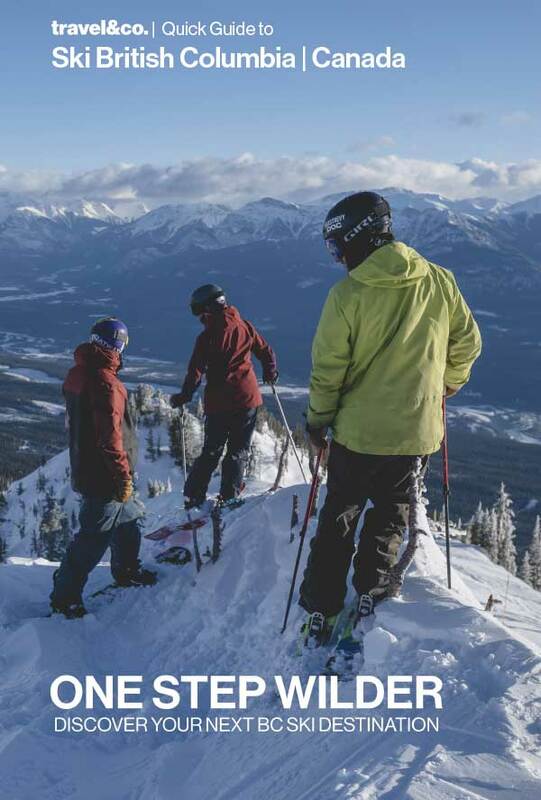 Here you will find the ski resort of Revelstoke – renowned for powder snow and the highest lift-serviced vertical in North America, Panorama- in the heart of the Purcell mountains, with wide open groomers and Canada’s largest outdoor slope-side hot pools, the family friendly Kimberley resort known for its light fluffy powder and the longest night ski run in North America, the Kootenay mountain hideaway of Whitewater with some of the deepest, driest powder around, Kicking Horse – known as the Champagne Powder Capital of Canada, with deep powder bowls and chutes, Red Mountain renowned for gladed tree skiing and the powderhound haven of Fernie, located in the Southeastern corner of BC. 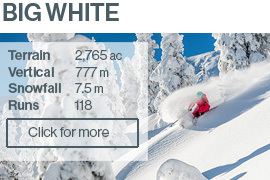 Ski season in BC can extend well into May with epic snowfall levels that range from 11-14 metres deep. 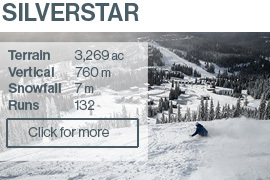 Carve turns on perfectly groomed slopes, shred alpine bowls, or practice your freestyle in terrain parks, from bunny slopes to massive vertical and deep powder stashes there is terrain for everyone. 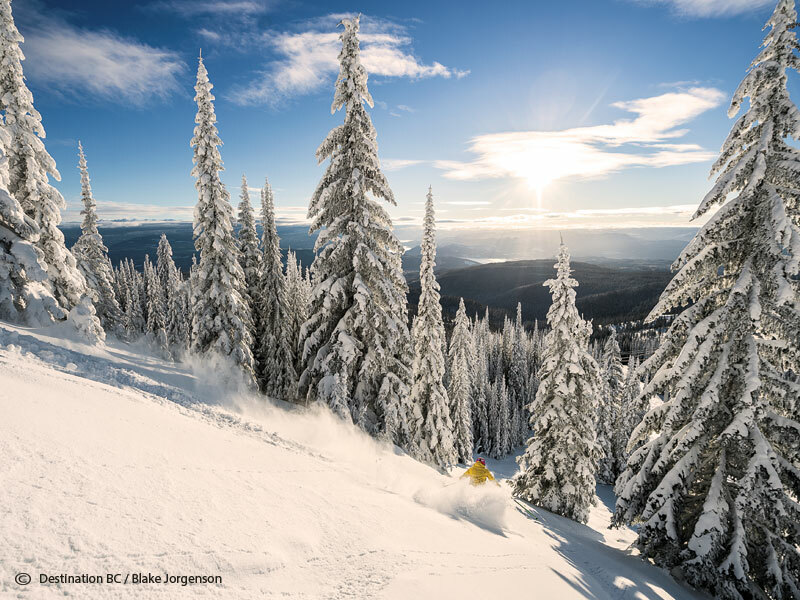 Location: British Columbia is bordered by Alberta to the east, the states of Washington, Idaho and Montana to the south, and the Pacific Ocean to the west. 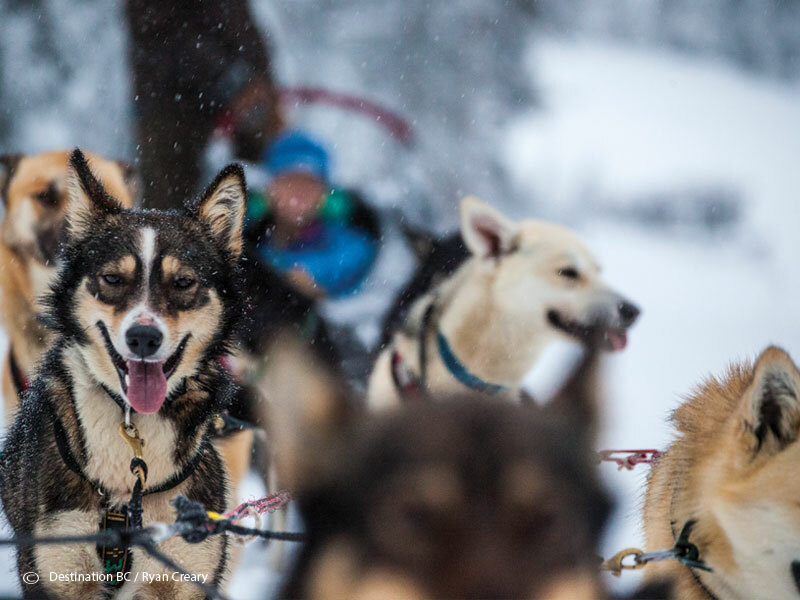 The Alaska Panhandle and the Canadian territories of Yukon and the Northwest Territories form the northern border. 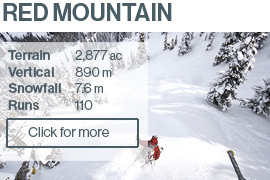 Size: British Columbia is four times the size of Great Britain, and more than two times the size of Japan. 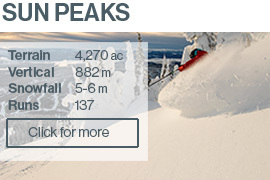 British Columbia is Canada’s third largest province, after Quebec and Ontario. 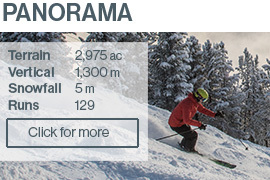 It covers about 9.5 per cent of Canada’s surface area. 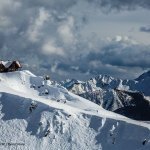 Tallest Mountain: The highest mountain partially within BC is Fairweather Mountain (4,663 metres on the BC/Alaska border, and the tallest mountain entirely within BC is Mount Waddington in the Coast Mountains, at 4,016 metres. Oldest Tree: In Carmanah Walbran Provincial Park, “Heaven Tree,” a Sitka spruce, has a diameter of 3.5 metres and is thought to be around 800 years old with some of the cedars in the park estimated to be well over 1,000 years old. The “Hanging Garden Tree” on Meares Island near Tofino is one of the oldest known western red cedars, estimated to be anywhere between 1,500 and 2,000 years old. 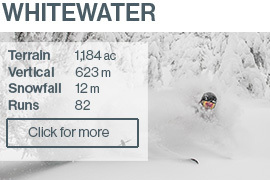 Fastest Water: Skookumchuck Narrows, on BC’s Sunshine Coast, has, at speeds in excess of 16 knots, among the fastest flowing tidal currents in the world. Highest Waterfall: At 440 metres, Della Falls in Strathcona Provincial Park on Vancouver Island, is one of the highest waterfalls in Canada, around eight times the height of Niagara Falls. Biggest Lake: Williston Lake, in northeastern BC, is BC’s biggest lake, and one of North America’s largest man-made lakes with an area of 1773square kilometres. Largest Island: Vancouver Island, at 31,285 square kilometres, is the largest island on the west coast of North America. Biggest Provincial Park: Tweedsmuir Provincial Park, at 989,616 hectares/2.4 million acres, is British Columbia’s largest provincial park. 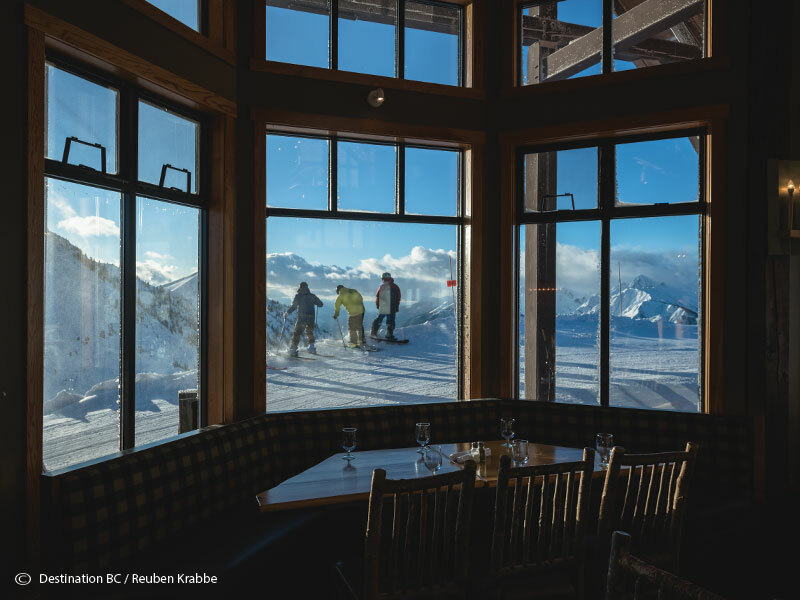 Canada’s highest restaurant: Kicking Horse Mountain Resort, near Golden in the Kootenay Rockies, is home to Canada’s highest restaurant, the Eagle’s Eye, at 2,350 metres high. 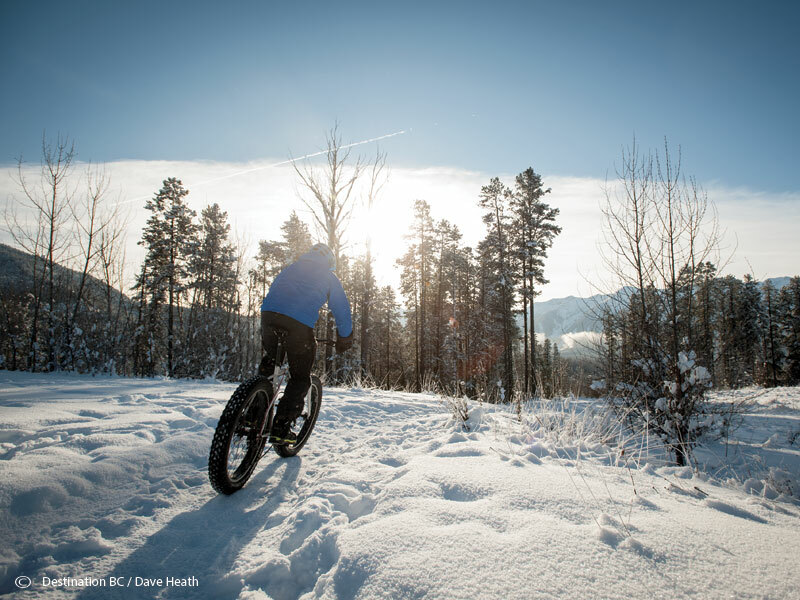 There are plenty of options to have fun, refuel, refresh and to soak up the BC atmosphere in winter. 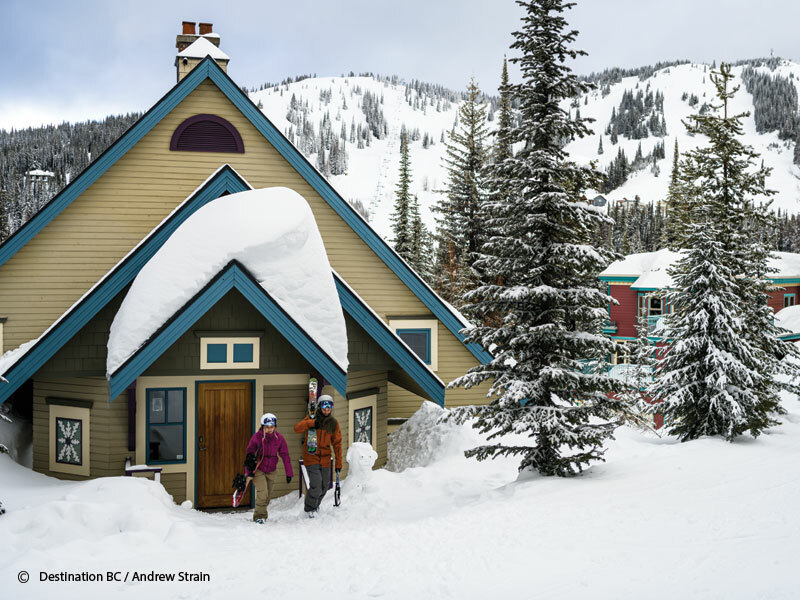 From unwinding after a day on the slopes in natural hot springs, exploring friendly and small mountain ski towns and resorts, amazing off slope adventures or working up an appetite with indulgent culinary adventures your BC winter adventure awaits! 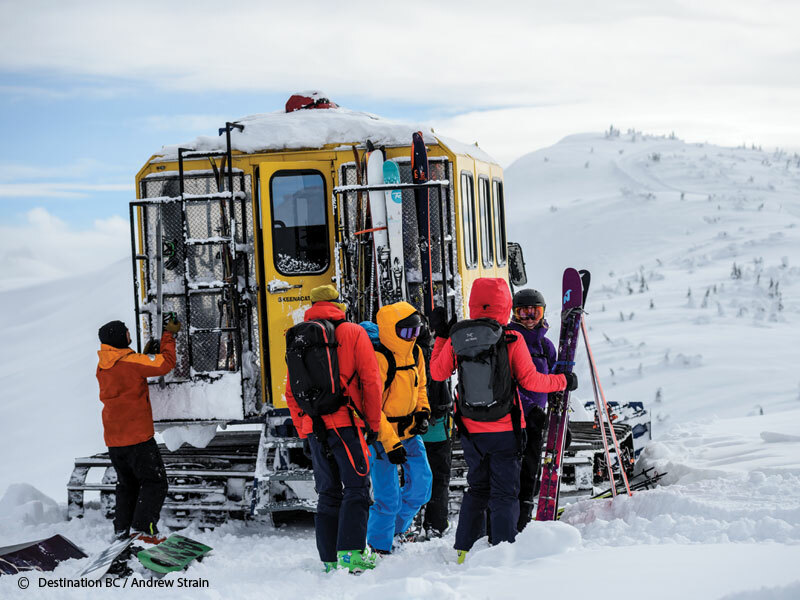 Ask our Active Travel Experts about amazing BC winter experiences you can add on to your BC Ski Trip. 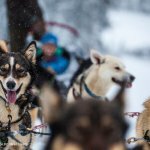 Dog sledding: Mush your way through winter wilderness at one of the many BC resorts on a dog sled tour. 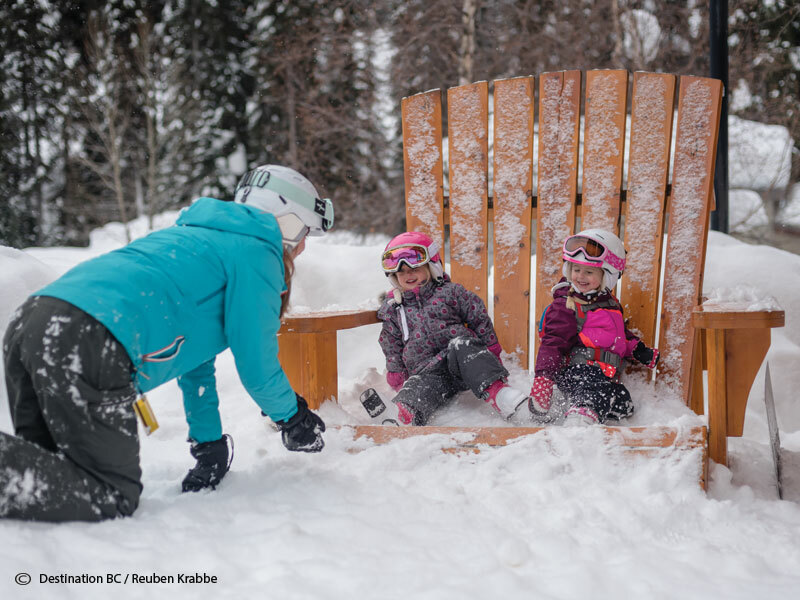 Horse rides: Sit back under the covers and explore resort villages and remote snow-covered trails on a horse drawn sleigh ride. 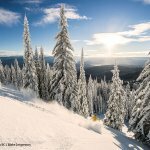 Snowmobile tours: Explore BC’s back country trails, frozen lakes and amazing mountain scenery on a snowmobile. 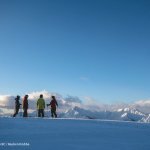 Snowshoe tours: Spot wildlife tracks and explore the wild BC winter landscape on guided snowshoe tours. 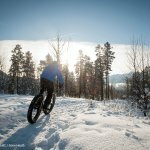 Fat Tyre Biking: Swap your skis for a fat tyre bike and experience winter on two wheels. 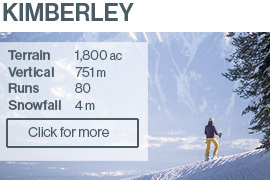 Paragliding: Enjoy the thrilling of soaring above the snow, and see amazing BC terrain from an eagles eye view. 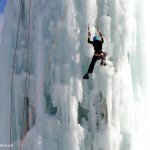 Ice Fishing: Try something new on a guided ice fishing tour. 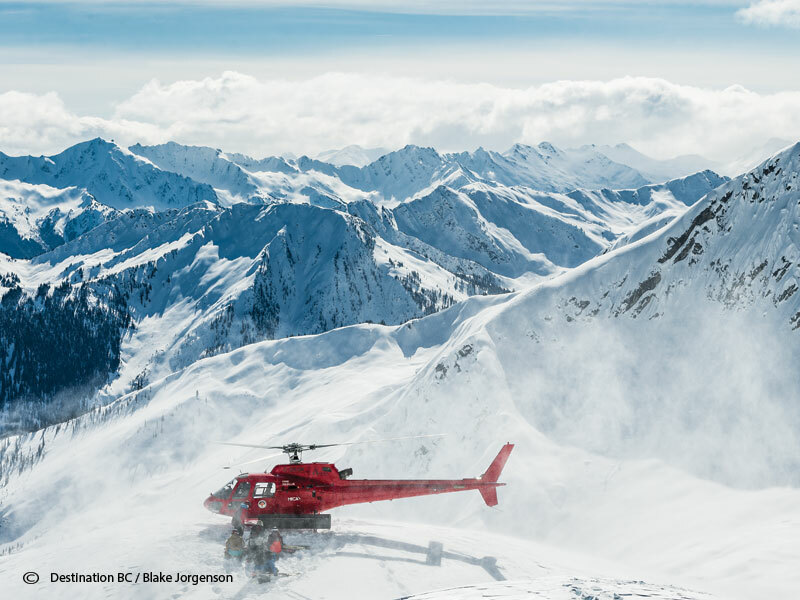 Heli & cat skiing: Give it a go where it all began and experience deep powder and amazing runs on a heli-ski trip. 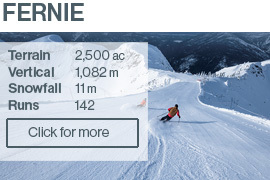 Tubing: Share laughs with your crew speeding and sliding down hill on a tube. 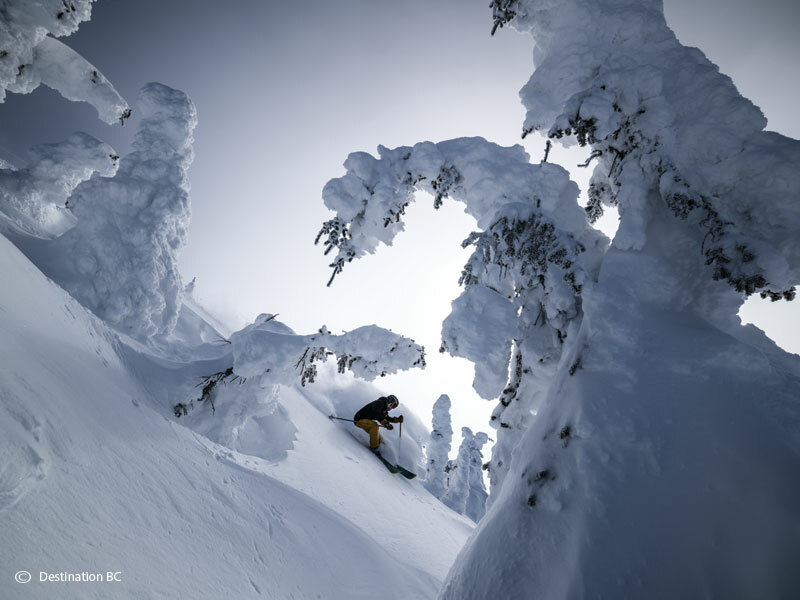 Many BC resorts offer tube parks. Ice Hockey and Curling: Enjoy authentic Canadian pastimes such as a Canadian ice hockey game or curling. 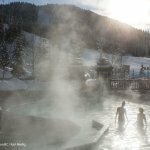 Natural Hot Pools & Springs: Relax and unwind after a day on the slopes at one of the natural hot springs found around BC, including Canada’s largest hot slopeside hot pools in Panorama. 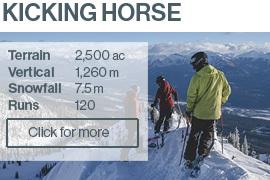 Ice Hockey, Curling: Enjoy authentic Canadian pastimes such as Canadian ice hockey and curling and family ice skating. 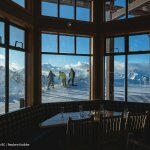 Dining: BC has some amazing apres ski dining options from fondue dinners, roasting marshmallows over open fires or alpine dining in mountain huts and even in Canada’s highest mountain restaurant. 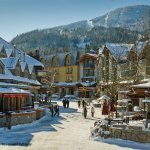 Winter festivals & village fireworks: Enjoy a true Canadian winter experience with an action packed calendar of events from village fireworks, winter festivals to opening day, Christmas and New Year celebrations. 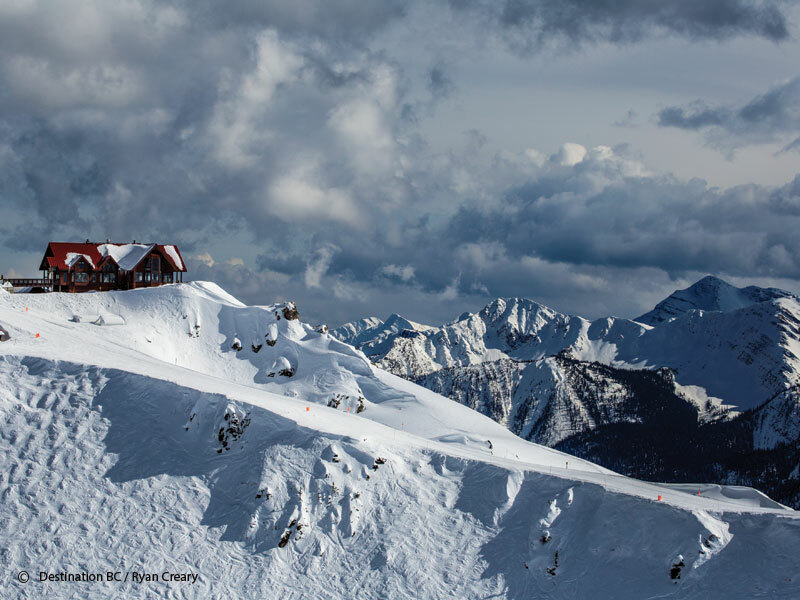 British Columbia, Canada’s westernmost province, is set between the Rocky Mountains and the Pacific Ocean. 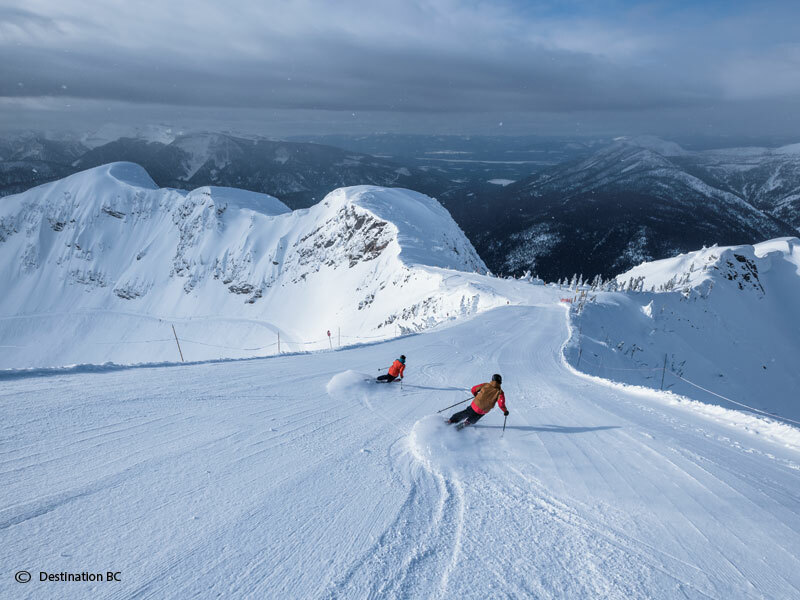 Connecting to one of the many ski resorts here is easy with direct international flights to Vancouver, Calgary, Kelowna and Kamloops. 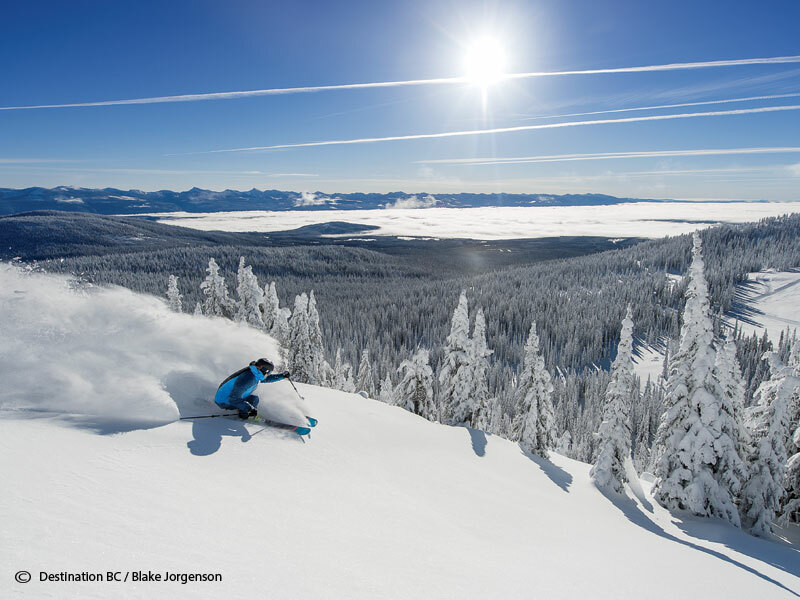 Ask our Active Travel Experts about flight connections to your preferred ski resort and to prearrange transfers or a rental car for your stay. 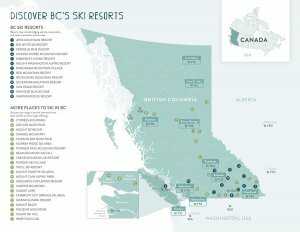 British Columbia has a variety of accommodation options to choose from. 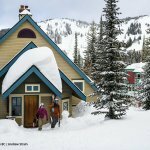 From luxurious 5 star hotels to slopeside accommodation, British Columbia offers an extensive choice of places to stay for your next ski holiday.